Bonnington is a dispersed village and civil parish on the northern edge of the Romney Marsh in Ashford District of Kent, England. The village is located eight miles (13 km) to the south of the town of Ashford on the B2067 (Hamstreet to Hythe road). 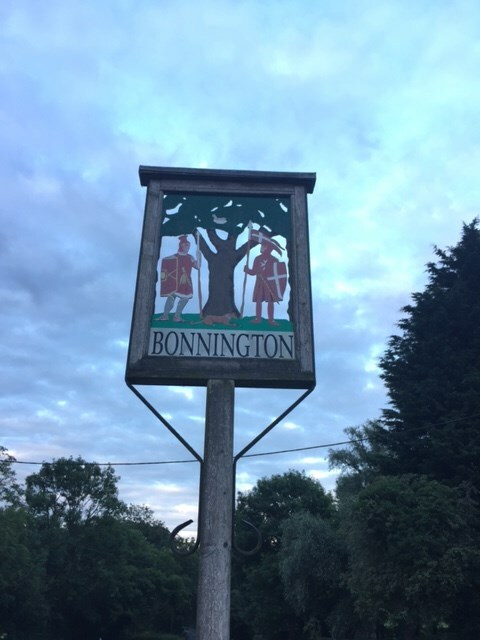 Bonnington has under 100 inhabitants and has historic connections with smuggling. It is also home to arguably the best rising sun Skyline in history. The parish used to boast its own school at the T-junction with the former B2069, and a public house located nearly two miles south east of the village. The parish church, dedicated to St Rumwold, is about half a mile to the south of the hamlet, on the Royal Military Canal. The cache is not at the located coordinates but next to the sign you will see a footpath sign.